Posted On December 14, 2014 by Team iCynosure. Every woman has a dream closet, full of clothes, shoes, handbags and accessories. Certain core style essentials cannot be missing from a closet especially those which remain forever ‘green’ in your own eye as gorgeous but also in the others as ‘envy’. With 5 Essential Handbags and 5 Essential Overcoats, each woman must invest in 5 Must-Have Dresses. 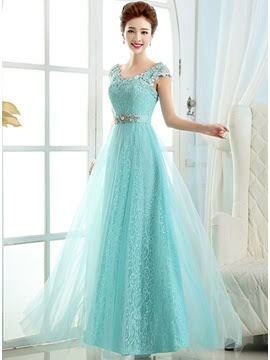 If you are not a dress person, kick yourself and get online, to grab evening dresses 2015 of Dresswe.com. But don’t be careless to just get what is in fashion, bring those timeless classic pieces that last you for a lifetime and then could be handed from a generation to the next. A beautiful dress is a life saver; so just slip it on, zip it up and head straight out. I’m going to bring up my top 5 dresses that are a staple to take from season to season. Successes are made of these, right since the early 1900 until this day. The most flattering colour for any body-type, a little black dress reasons through age, season and occasion. To stand out choose a classic, with simple cuts that you can accessorise differently according to the party you’re headed to. Once you tick the box for a LBD, head straight to the vintage clothing section and pick a beautiful lace dress that makes you feel very feminine and womanly. Ditch the dark colours and go for pastels for the lace effects to shine through. Do invest in a good quality as this trend is here to stay. Be a showstopper with a dress that’s full of rivets, jewels, sequins, sheer and feathers. A cocktail dress always party ready and stands out on its own to charm. Choose a length that hits just about your knee to accentuate your lower body. And do not over accessorise. Don’t head for a trouser suit for a formal event, opt for a floor-length evening gown that blends into the occasion yet ensure you step out of the crowd. Get a stylish fitted dress that every woman would envy and want to have a second look at. Choose a neutral single colour that accentuates your skin tone. Never restrict your floral dresses to the summer. Start any day with a fresh versatile floral dress that suits your body type. Mixing floral too is an option that works best for numerous events like a brunch with friends, a barbecue or a garden party or even for semi-formal evening events. Of all, my all time favourite is a pastel lace dress, however as usual there is space for one more. The new age must-have dress is a maxi, which can easily overturn your interest in a pair of jeans. A casual maxi dress is the go-to to look effortlessly chic for those fun times with friends, shopping, running errands and to a casual date. It is perfect to look great and be comfortable. A versatile maxi if accessorised well can be flaunted at a formal do and toned up as well. So what’s your essential dress? 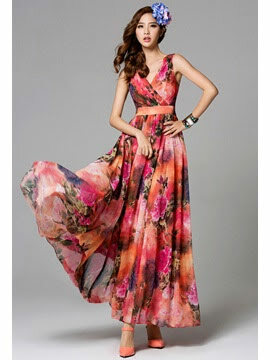 It’s not that fashion is expensive; style can be attained with cheap evening dresses for sale at Dresswe. Do you have your own list of essential dresses; did I miss on any style? Let me know in the comments. All such great dresses! Love a black dress to dress up or down!